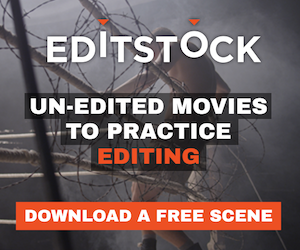 A Great New BLOG that looks at the technique of film editing. It has some great ideas behind the writing including "Cut of the Month" and snapshot of the cutting room. Check it out! SLR Magic have been making waves in the budget cine lens realm for some time now. The company is well known for their excellent wide angle fast primes for like the SLR Magic 12mm T1.6 Hypeprime and even wider 10mm T2.1 Cine Hyperprime for MFT mount cameras as well as their super-fast 25mm, 35mm and 50mm f0.95 Hyperprimes which come in a variety of mounts from Micr Four Thirds to Fuji-X and Sony E-mount for their APS-C range of cameras. New firmware for Cion - version 1.2 Expanded IRE levels In camera video gamma mode Increased ability to keep white balance even if overexposed at the high end #TryCion and more. AOTG interviews AVID (Charlie Russell) at NAB 2015. Free version of Media Composer (Media Composer | First). New IO hardware for high resolution (UHD & 4K). New shared storage (ISIS 1000) - 24 users; 20 to 80 TB of space and works with Media Composer as well as Final Cut Pro and Adobe Premiere. Silverdraft's Devil & Demon Strategy is more than just a slate of hardware. Instead, it’s a plan to help small, medium and even large entertainment facilities process data in new and astounding ways, while still spending each dollar wisely. This year Blackmagic are introducing an amazing new 4.6K image sensor with 15 stops of dynamic range for URSA cameras, three whole new cameras, a massive update to DaVinci Resolve, and a whole range of 12G-SDI products for broadcast, post production and live production.